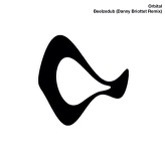 Former Renegade Soundwave member Danny Briottet reworked this menacing track from Orbital’s 2012 Wonky LP. A sort of spiritual (or maybe that should be anti-spiritual) descendent of the Hartnoll brothers’ ‘Satan’, ‘Beelzedub’ is here recast as a bass-heavy cut with lots of ground-out distorted moments that recall Briottet’s work in Soundwave, as well as offering a nod toward the more contemporary mood – if not the stop-start mantra – of dubstep. The fusion of dark, ominous soundtrack strings with Briottet’s sprinkles of melody and his comprehensive knowledge of the mechanics of dub makes this an essential re-imagining of the Hartnoll schtick. After almost twenty-eight years, Pete Hope and Dave Harrow have decided the time is right for a follow up to their 1985 EP, also titled Sufferhead. Vocalist Pete Hope is a stalwart of the Sheffield post-punk scene, which meant that some sort of collaboration with someone from Cabaret Voltaire was always a possibility – in Hope’s case it was working with Richard H. Kirk on the album Hoodoo Talk. Hope has also worked with Jono Podmore (Kumo, Metamono, Cyclopean) and in The Box with members of Clock DVA. As for Harrow, he has occupied a shadowy presence in the world of electronic music, working with Psychic TV, Adrian Sherwood’s venerable On-U institution (overseeing mixes for Depeche Mode, Mark Stewart and others), Anne Clark, Andy Weatherall and working as Technova and other aliases. Some things are worth waiting for, as proven by this five-track EP. Sufferhead is an understated, assured release wherein electronics flutter and stalk with repetitious dark menace and vocals growl with thinly-concealed threat, anger and cynicism. Standout track ‘Revolution Train’ (see the clip below) is like an amalgam of everything Nitzer Ebb were trying to do around the time of Belief, only with more depth and attention to detail, while ‘Tongue Tied’ takes a crisp, jittery IDM pulse and adds in suggestive low-pitched spoken vocals that probably aren’t about getting your words muddled up. At opposite ends of the spectrum, ‘Sparticus’ might sound aggressive and disappointed by turns but it conceals a hidden sincerity, while the electronic dub of ‘Turn Up The Fuzz’ comes with a punkish social awareness suggesting that things are just as rubbish today as they were in the mid-Eighties. Labelling this a comeback would be an insult; against a backdrop of electronic music regaining visibility with critically-acclaimed albums from bands and artists that have been treading the boards since the early Eighties, Sufferhead is a lot like a grenade being tossed casually into the fray, its impact proving categorically that much more interesting music is made just below the surface. 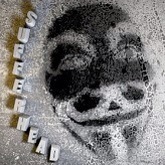 Sufferhead can be bought from Juno, Amazon or iTunes. 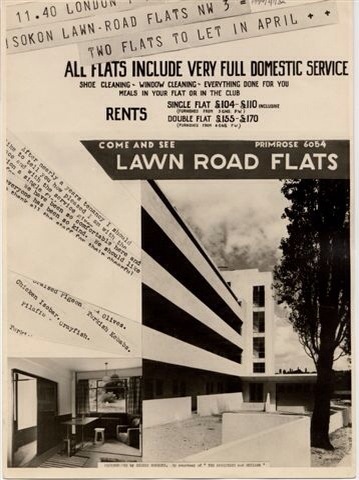 This short 2011 BBC post on the future of British social housing includes a soundtracked by ‘The Set Up by Cabaret Voltaire, as well as extracts from pieces by Vaughan Williams, Karlheinz Stockhausen, Edgard Varese and The Jam. 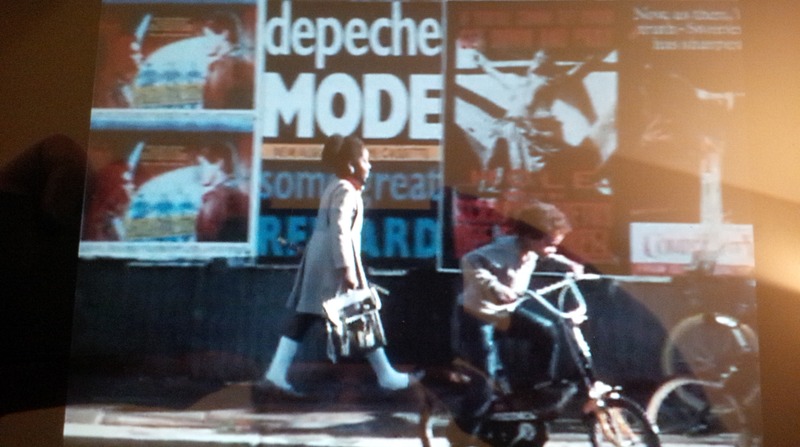 A billboard poster for Depeche Mode‘s Some Great Reward, London 1984. Still taken from To The World’s End: Scenes And Characters On London Bus Route, a BBC programme first broadcast in 1985. Available on BBC iPlayer.